Everything you need to know about the terms used and abused on social networks like Facebook, Twitter, Google+, and more! Reading up on iPhone, iPod touch, iPad, or Apple TV and wondering what all those social networking terms are? From follower to friend, RT to like, we've got you -- and every term we can think of -- covered below! For even more iOS and Apple-related terms see our complete iPhone and iPad glossary and our guide to common Internet, SMS Text, and iMessage slang. And as always, if we're missing anything, add additions and corrections in the comments below! @: Used to target specific Twitter users (also now adopted by app.net and Facebook). See Mention. #: Used to create clickable search terms in Twitter (also now adopted by other social networks). 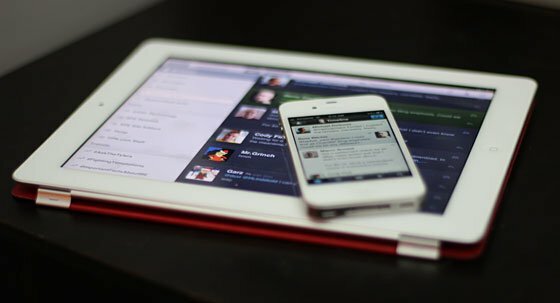 Clicking on #iPhone would show a timeline of all other tweets with #iPhone in it. Check in: Submitting your location to Foursquare, Gowalla, Facebook Places, or similar location-based app. Follower: Someone who Follows you on Twitter. Friend: A bi-directional relationship in Facebook where you connect with another user and they're granted a connection back to you. Like: A way to share content on Facebook. When you "Like" a link (such as a TiPb story) it appears in your Facebook feed and your Friends have a chance of seeing it. Messages: Facebook's new hybrid email, SMS, IM platform used to privately communicate with Facebook friends. Page: A non-personal profile on Facebook or Google+, typically for clubs, businesses, etc. RLRT: Real life re-tweet, or posting something you hear on the real world. Timeline: A list of a user's Twitter status updates in reverse chronological order. Tweeps: Slang term for Twitter Peeps (People), aka your Followers. Tweet: A Twitter posting, limited to 140 characters (so that the entire message and up to 30 character username can fit in a 160 character SMS text message). Twoosh: A tweet of exactly 140 characters. Via: an alternate form of re-publishing a tweet where, instead of prefacing with RT, a /via @[username] is placed at the end.